Today Melissa succeeded in contacting the Department of Immigration official who is working on our case. They don’t often answer the phone, so this in itself was a miracle! They told her that the I-171H is finished and will be mailed today. This is the document we need to allow the girls to become citizens. Once we get that it will be sent to the consulate in Ukraine. Our other paperwork has gone to our agency and now it has to go to Sacramento to be apostilled. This is what they call it when the state certifies that the notarizations are all valid. Basically, the more rubber stamps and signatures we have the better. The girls have no clue about all the work that is taking place to make this adoption happen. In their minds I am sure they are just wondering why we are taking so long and why they can’t be with us now. 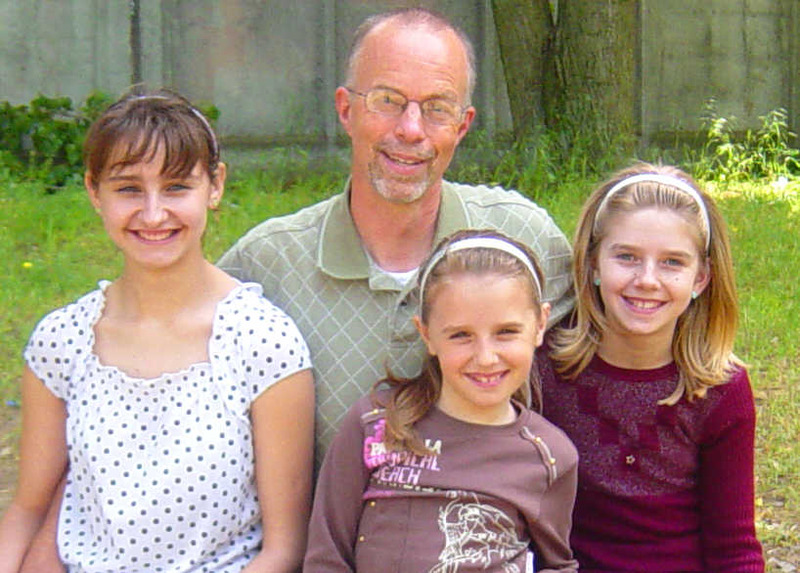 People are responding to the need for helping these girls, and we are very encouraged! We don’t feel so alone in this effort now that people are coming along-side to support us. I have great hope that it’s all going to come together and many people will share the blessing. We are still waiting for the document from the Department of Immigration. I don’t know why it’s delayed. We’ve called the office in L.A. several times and each time we are told that it will get finished right away. Tons of paperwork! Today we finished applications to two different foundations who loan money for the purpose of adoption. We also finished our updated dossier to send off to our agency. All the paperwork has to be at the government office in Ukraine by August 12 for the official review. All we are waiting for now is the updated document from the immigration office saying that we are approved for 3 kids instead of 1. We also met a nice Ukrainian girl who lives near us who wants to help. She is 21 and has a heart for helping kids. She speaks Russian and Ukrainian and I’m sure she’ll be a big help for us when the girls arrive! We just got a message that our dossier is scheduled to be submitted to the government agency in Ukraine on August 12! This is both good news and bad news. It’s good news because it means that there is a possibility that the whole adoption could be complete by the end of the year! It’s bad news because it means that now we have less time to come up with the necessary funds. Somehow in the next month we need to raise the rest of the agency fee! We are trying to arrange another phone call to the girls this week. I know they are putting all their hopes on our being able to see this adoption through. Pray for us! The government in Ukraine has assigned a number to our adoption dossier and it should get submitted for review in September. We are told that at that time we have to provide the agency with the remaining funds for the additional two girls. This will take a miracle. They need about $18,000 in addition to what we have already submitted. They have given us a discount, (this is roughly 3 kids for the price of 2!) but we don’t know where the funds will come from. My wife and I are “ordinary” parents of 3 boys. We thought things were going along fairly smoothly for our family until our lives were turned upside down by one little 8 year old girl. 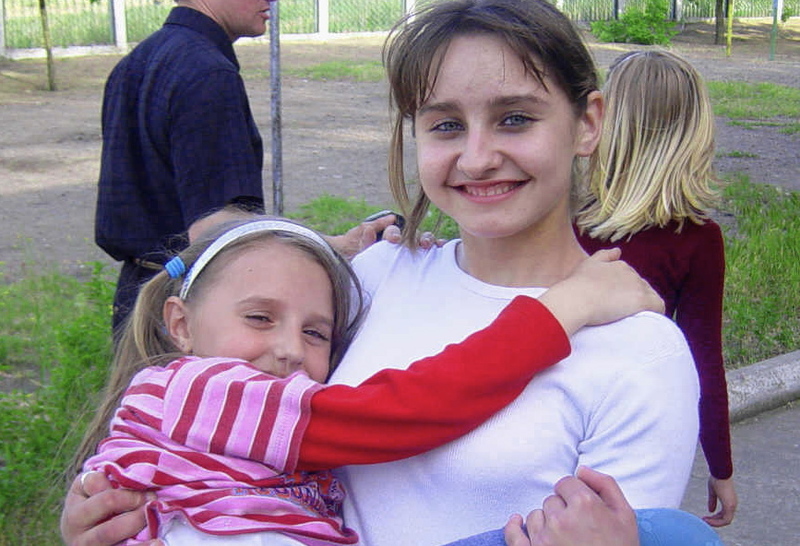 Last summer a group of children from an orphanage in Ukraine came to California for a 3 week visit. We were asked if we would be willing to host one of the kids. Without realizing the long-term ramifications we said, “yes”. We immediately fell in love with Karina, and she fell in love with us. Before she left we began plans for adoption. This included selling our house to help finance the expenses involved. We realize that the future is very grim for these kids who don’t have a family, and we knew that we couldn’t live with ourselves without giving Karina a chance. The process has been progressing during the last 9 months and now our dossier is in Ukraine waiting to be processed. 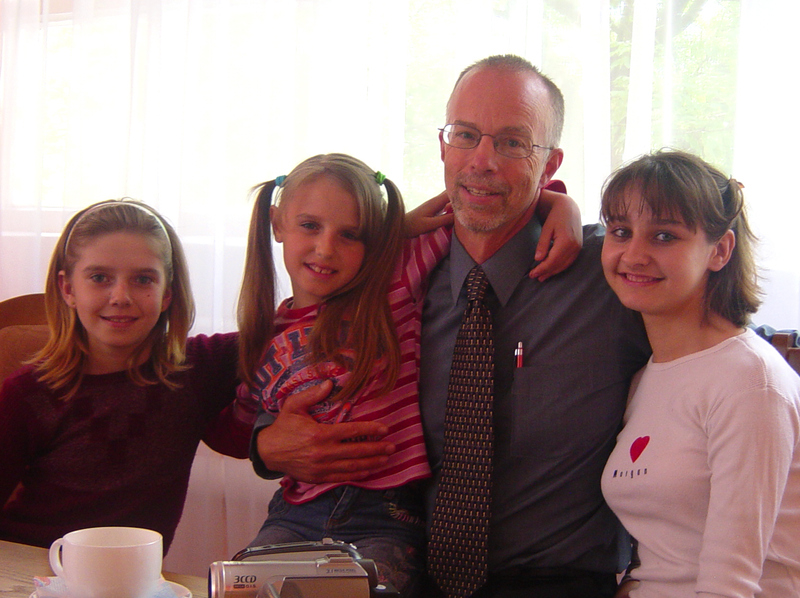 We were taken by surprise though in April when we succeeded in making a phone call to Karina. She announced that her two older sisters have joined her at the orphanage! She wondered if we could adopt them too!! With this major development, we decided that I should go to the orphanage to see first-hand what the real situation is. I spent two days there with the girls and learned a lot about them. They are the sweetest girls you could ever meet! Their mother died in February of last year. The girls were separated 4 years ago when their mom went in the hospital for TB. It is a miracle that they are reunited, and now they are inseparable. We would love to give them all a chance to be in a family. After meeting them, I can’t get them out of my mind. We want to do all we can to help them.